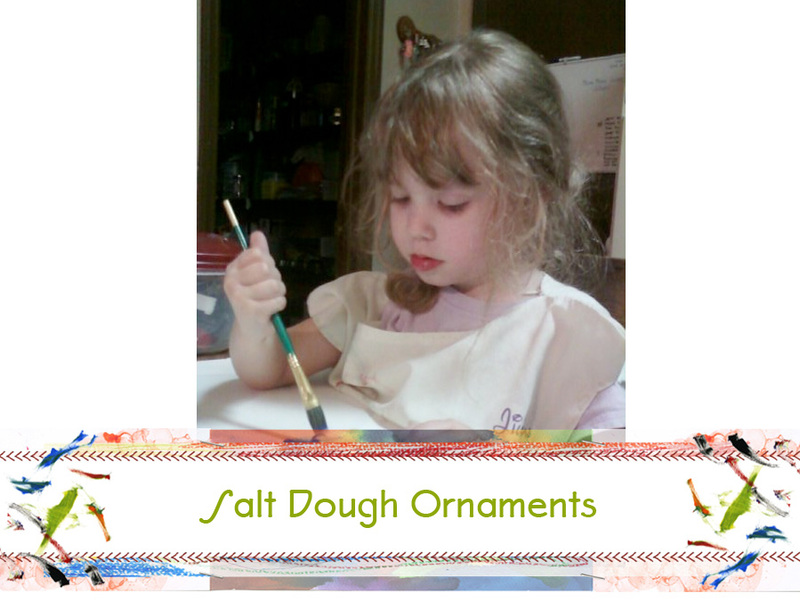 Salt Dough Name Tags or Ornaments | Who Are You Calling Crafty? Well I made salt dough ornaments last year for the first time since elementary school. I needed a cheap easy way to make Christmas Ornaments for friends and family. So I made salt dough ornaments and painted them with acrylic paint and used a spray sealer. I personalized each one with their name, the year, and used them as gift tags. This year my 4 year old wanted to make them all by herself. She rolled out all the dough and used our Christmas Cookie Cutters to form the ornaments. I placed them in the oven and baked them while she took her nap. She painted them and I did all the calligraphy. I think this is a wonderful idea for a family tradition and it also gives the grandparents a wonderful keepsake.